But luckily there are still ways to use panniers on super short chainstay bikes. This is a list of racks that are designed to give you extra heel clearance! Before we take a look at some of these specially-designed rear carriers, it’s important to know that the rack is only part of the solution. 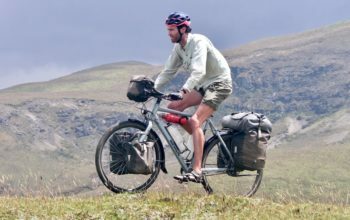 Panniers come in different forms, some shaped to accomodate for heel strike (like the Axiom Cartier) and others are designed with horizontally adjustable clips like the Ortlieb Backrollers. The steel Tubus Logo is designed with heel clearance in mind. It features large side surface areas and low sidebars to keep your bags rearward, low and stable. 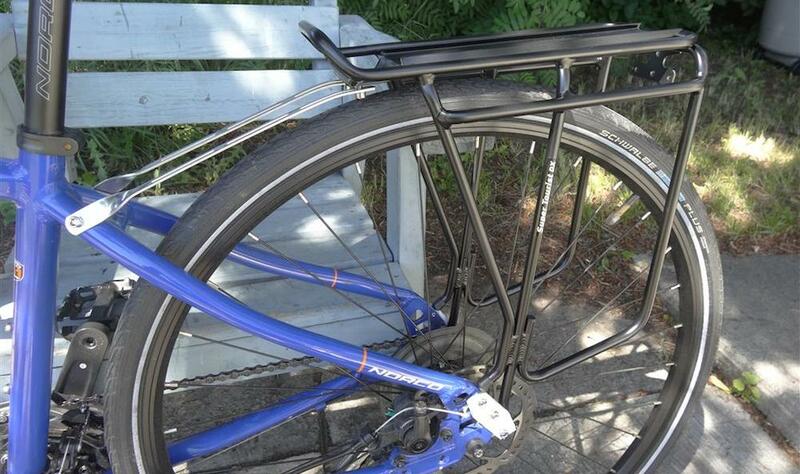 This is my favourite rear rack for bicycle touring as it has a huge load capacity (40kg/88lbs), yet weighs just 840g. The cost of the Tubus Logo is US $150. The Tubus Logo is also available in titanium. It’s only 538g but US $300! 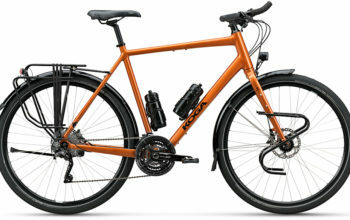 The alloy Axiom Streamliner rack is intended to fit almost any bike, including bikes with short chainstays due to their “sweep back foot design”. If your frame doesn’t have any eyelets, this smart rack can also be mounted to the rear QR axle and rear brake bridge. The rack is rated at 50kg (110lbs) and is only 710g. Oh, and it’s a bargain at US $40! 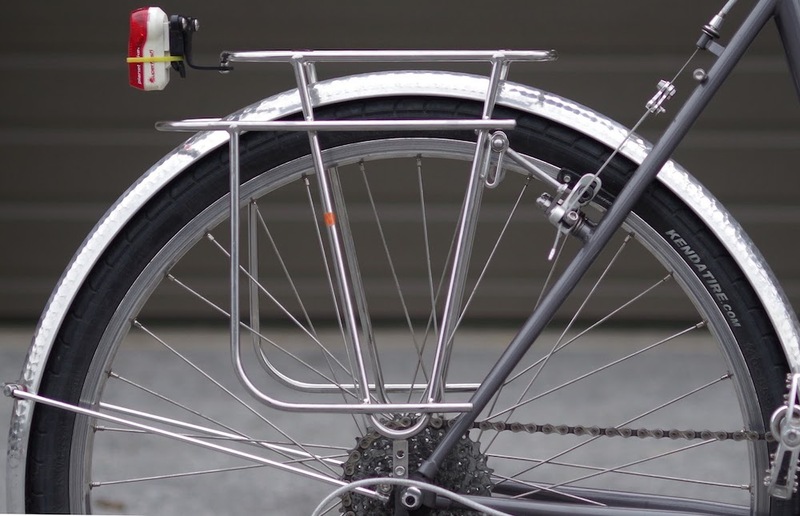 Soma Rakku Rear Pannier Rack. 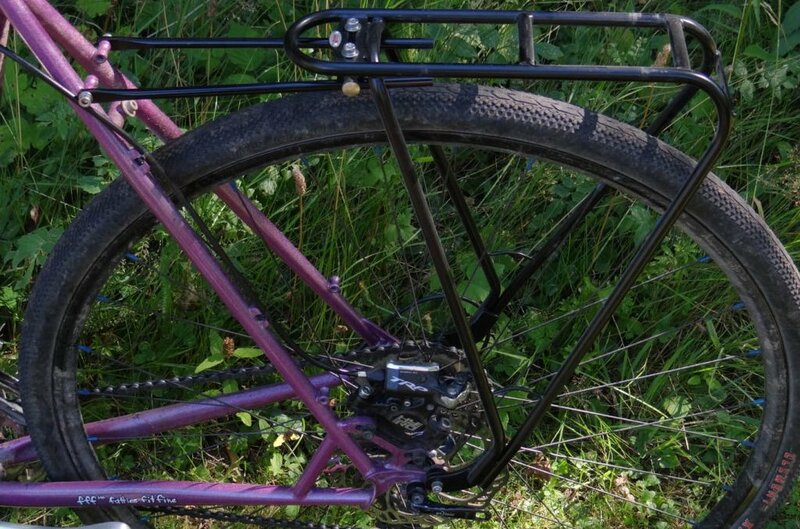 The Soma Rakku will give your short chainstay bike the heel clearance you need. This stainless steel rack will never get scuffed or rusty either, but it will weigh down your bike as it tips the scales at 1310g. This rack costs US $179 and has a capacity of 25kg (55lbs). 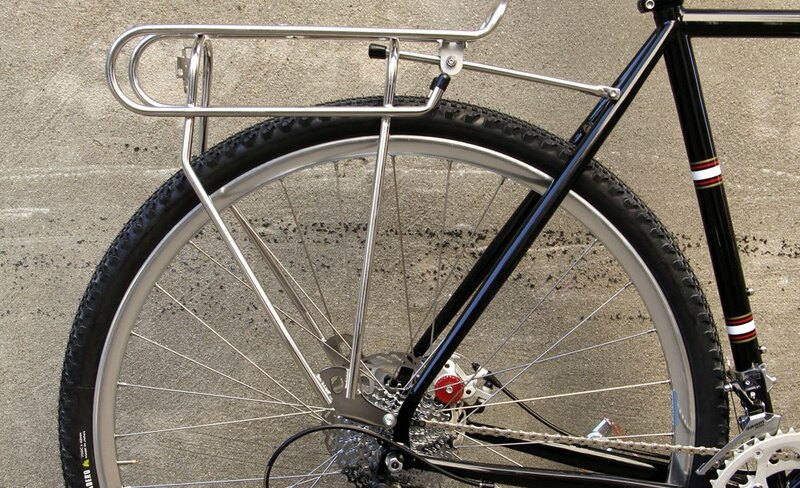 The steel Nitto Campee 33R rack mounts from the rack’s edge in order to push your panniers behind the rear axle. It weighs in at 841g and can carry 21kg (46lbs). 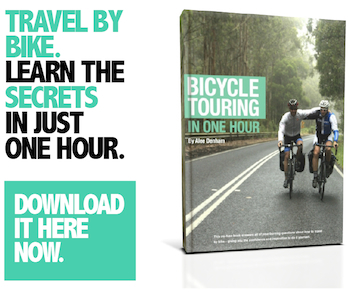 The only downside is the cost – it’s pretty pricey at US $240. 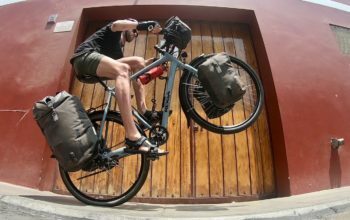 The steel Salsa Wanderlust HD mounts similarly to the Nitto offering, mounting off the rack’s edge and allowing you to mount your panniers further back than most racks. This 1035g rack has a capacity of 25kg (55lbs), and will cost you US $140. 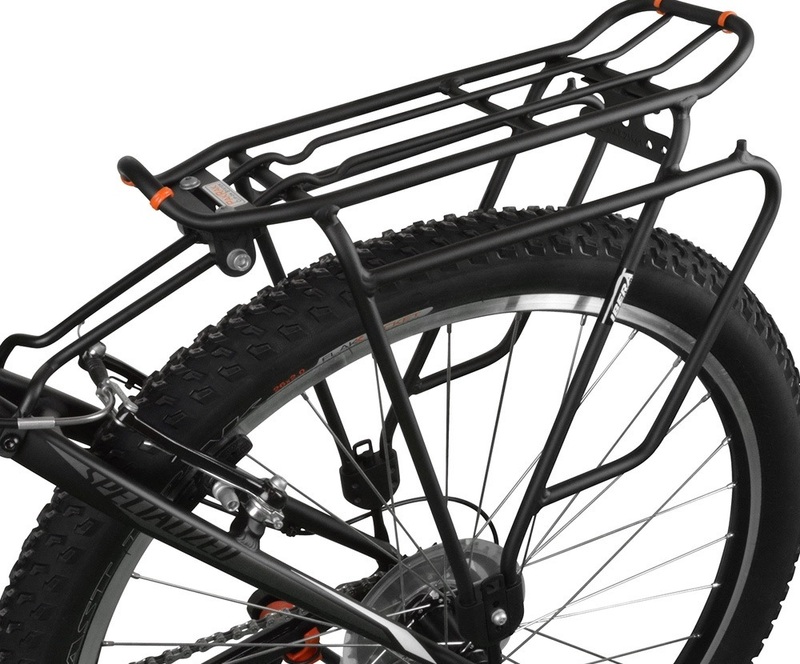 Tortec Expedition Rear Pannier Rack. 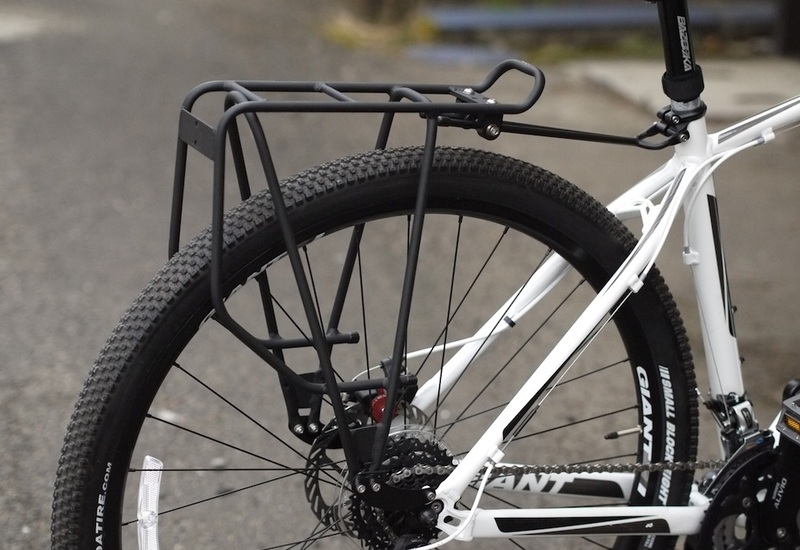 The alloy TorTec Expedition rack uses a low sidebar design like the Tubus Logo rack. 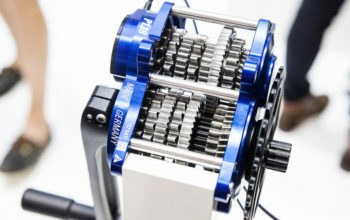 With a capacity of 35kg (77lbs) and a weight of 838g, it’s a solid performer. It’s also a relative bargain at £39. Ibera Touring Bike Carrier +. 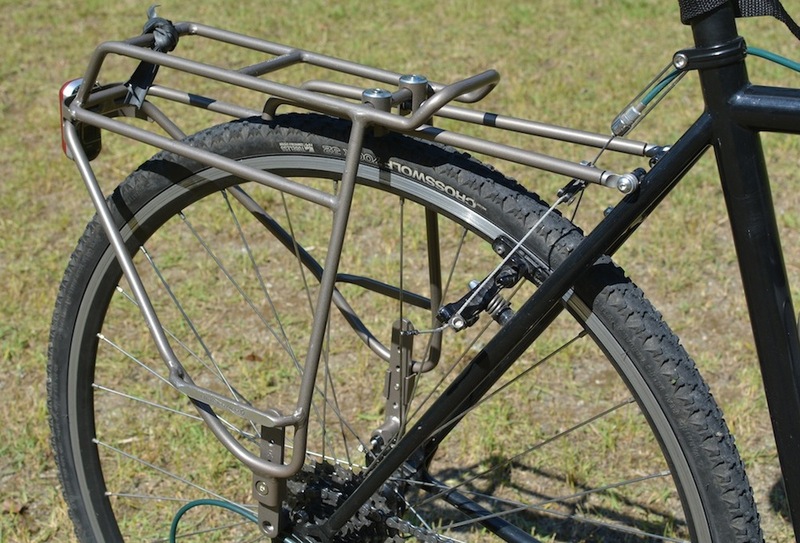 The alloy Ibera Bike Carrier is another budget option at US $50. 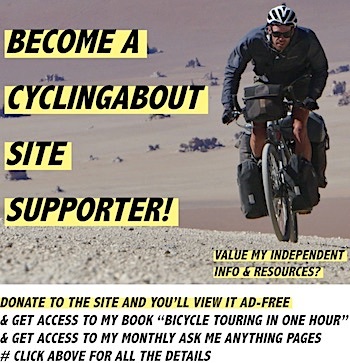 The low sidebars permit the rearward mounting of your panniers. The Ibera racks weight is 760g and it’s good for a 25kg (55lbs) load. Topeak Super Tourist Rear Pannier Rack. The alloy Topeak Super Tourist rack has low sidebars and a large surface area to mount your panniers further back. It weighs 700g and has a load capacity of 25kg (55lbs). It can be yours for US $50. The alloy Blackburn Outpost rack is intended for world touring. 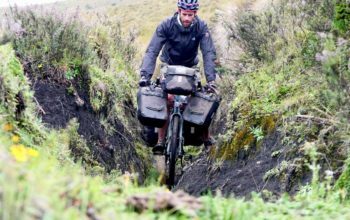 The low sidebars help reduce the centre of gravity of your panniers, but also helps keep them behind the rear axle. The rack weights 945g, it can carry 25kg (55lbs) and it costs US $120. 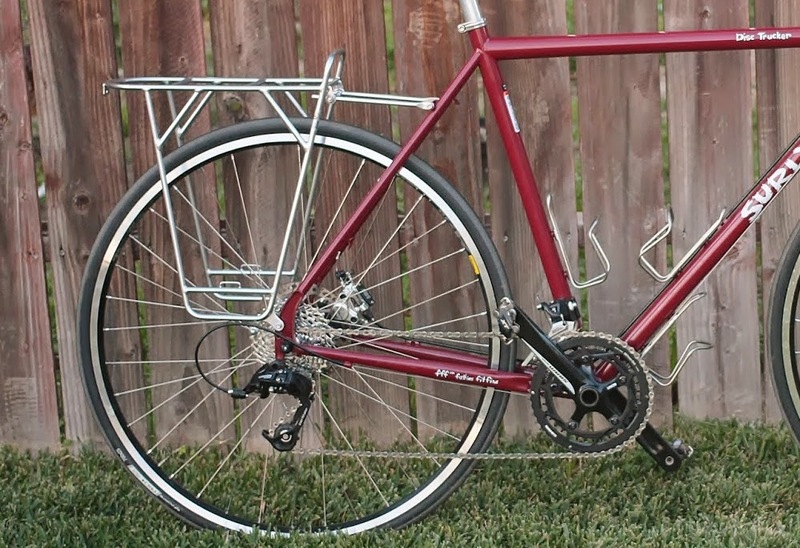 The stainless steel Velo Orange Campeur rack looks great, won’t scuff and will permit the rearward mounting of panniers. As you can see in the image, you can mount this rack from the rear brake caliper for a neat look. The cost of this rack is US $150. 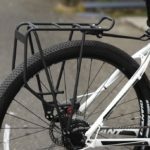 Tubus Disco Rear Pannier Rack. The steel Tubus Disco is one of the lightest racks here, weighing in at 521g. 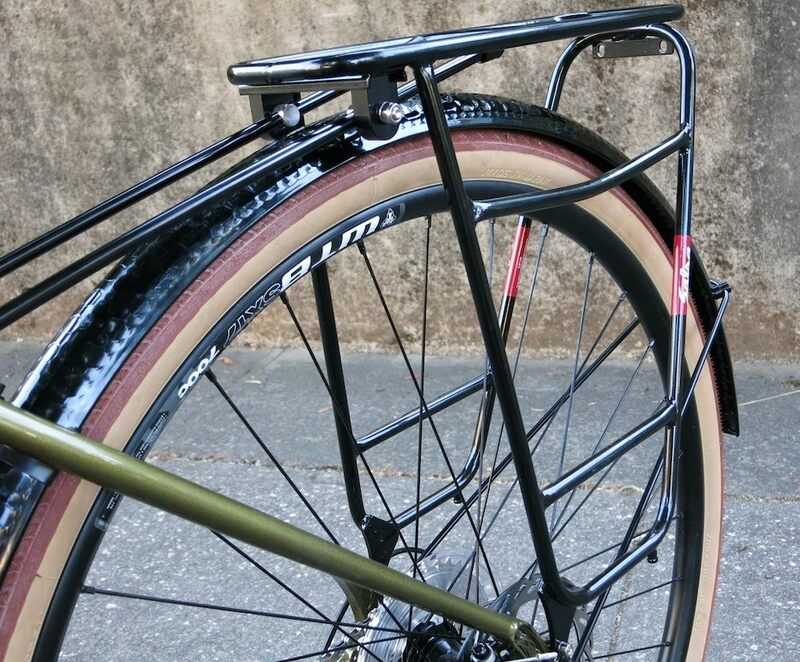 The lower foot design of this rack is designed to slip underneath a disc brake caliper, but the side-effect is a rack with great heel clearance. It’s capacity is 20kg (44lbs) and it will set you back US $150. 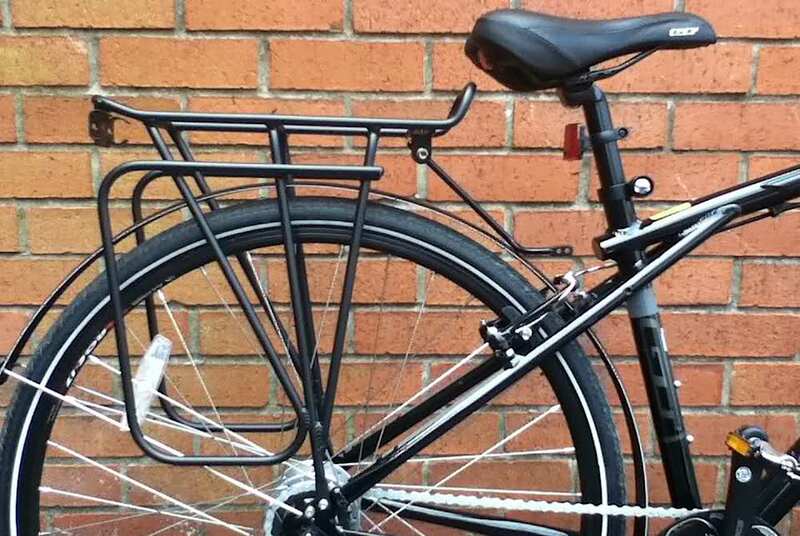 Here’s More Information On The Things To Consider When Buying A Rear Pannier Rack.